Jo Malone – the person - is a genius with fragrance. She's been designing them for the best part of 22 years: some of that at Jo Malone London, which she sold to Estee Lauder in 1999, while for the past decade she has been devoted to her luxury independent line, Jo Loves. 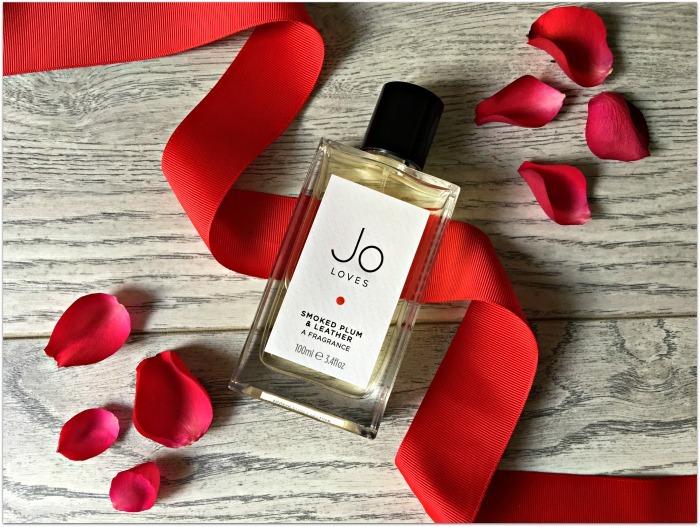 This is my third fragrance from Jo Loves: the other two, Pomelo (which I wrote about here, and have entirely used up) and Red Truffle 21 (reviewed here; I'm hoarding the final drops till next summer) are both delicious on the skin, and share a fresh, crisp, citrusy accord. Smoked Plum & Leather is a completely different juice. It’s intoxicating: the combination of boozy plum with soft leather and warm, gentle spices creates a sense of luxe and cosy opulence. Jo Loves doesn’t do seasonal releases, so this is intended to be worn year-round. It’s inspired by horse-riding in Montana – though with the smokiness, spice and plum liqueur, it can’t help but feel festive at this time of year. Balanced with that trademark Jo Loves freshness, it never gets too sweet or veers off into gourmand territory: a good thing because, personally, I don’t like smelling of food. The leathery notes bring a warm, masculine earthiness to the scent and ensure that it lasts really well on the skin. This would work just as well for men as it does for women, but I’m planning to be selfish: I want every dark and delicious drop all to myself. *PR sample featured; read more on my policies here.